It has been close to one year since I have been writing this blog. Some things I have learnt about writing a good blog. Blog is all about content. Original, genuine and interesting content is what everybody looks out for. One post should focus on a theme and have sufficient sources for further information. Your posts are good if your close friends devote time to read through them and share them further. Another way to gauge the interest level is by monitoring the number of comments your receive. One can create a blog site in two minutes using wordpress.com or blogger or other provider. Sooner or later, the limitations unleash. 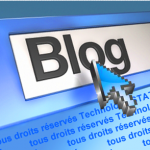 You do not have the full control on your blog in terms of plugins, limited themes, monetize. Its better to have site hosted with full control. I am a happy customer with hostgator and using wordpress for blogs. One picture says more than 100 words. Adding a small funny photo around the theme of the post helps attract the user to read through the blog. Post also becomes interesting and easy to remember. Choose a good neat theme for your website. For example, I am using PageLines. There are numerous free themes available with wordpress. Have a simple logo. I used following site to create it for free. Visitors can remember you easily. Have some plugin installed for social sharing. Links to Facebook, Twitter, LinkedIn are useful. For example, I have used Digg Digg plugin for floating vertical bar and horizontal fixed bar. Allow people to subscriobe to your blog. Any new posts can directely reach their inbox. I have used Feedburner. Identify your visitors by geography, browser, time of visit, referals. Google Analytics is an amazing tool, very simple to use and gives all the minute details. There are automated spams comments which keep coming on the blog. Some tool can be used to filter out the unwanted crap. I have enabled Akismet on WordPress, works smoothly. Very accurate. Will update with more tools.